Procedure: Electropolishing and Mechanical Polishing. Stainless steel pipe polishing process is actually the inside or outside surface of the pipe polishing process, using polishing equipment and the friction of pipes surface, to meet the roughness requirement. 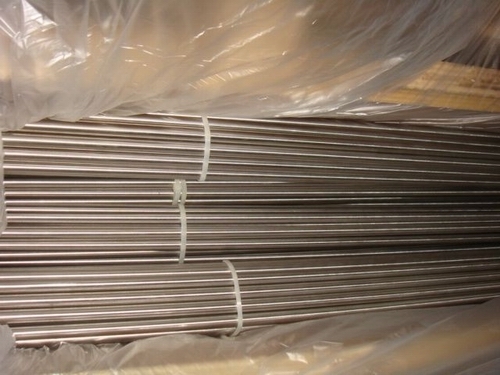 Type:Stainless steel tube of polishing with internal surface polishing and external polishing. Polishing grade: the outer surface of #400, #600, brushed, Silk hair. Application: Mechanical treatment, Mechanical working, CNG, Automobileengine. Electropolishing features: Electro polishing is the use of stainless steel in the electrolyte solution in the selectivity of the anode to achieve the purpose of polishing and cleaning the surface of a surface treatment. (1) Greatly improved corrosion resistance. Since electropolishing selective dissolution of the elements , making a solid surface of chromium-rich layer of dense solid transparent membrane , and formation of electric surface , eliminating and reducing micro- cell corrosion . (2) Micro- electrolytic polishead surface is more smooth than the mechanical polishing , reflecting a higher rate . This makes the device non-stick wall , not hanging material , easy to clean surface about a reduction of approximately one wire , to GMP and FDA regulatory requirements . (3)Electrolytic polishing from the workpiece size and shape restrictions. Mechanical polishing on the appropriate implementation of the workpiece can be polished , for example, thin tube wall , elbow , bolts , nuts and containers inside and outside the wall . D. does not produce Beillby layer . Electrochemical polishing is the use of electrochemical anodic dissolution of metal grinding polishing principle . The electrochemical pre- polishing and fine polishing machine together organically , playing two types of electrochemical polishing expertise and institutions . It is not material hardness and toughness of restrictions , complex shapes can be polished workpiece . The method and electrolytic grinding similar .